What is the best part about the holidays? Celebrating with family and friends? The presents? NO! It’s got to be the food. I don’t know about you guys, but around here we like to set a mean table of holiday delicacies. Of course there is plenty of Christmas ham, delicious comforting casseroles, and a bevy of cookies, pies, and other sweets for dessert. #latepost#dinner#cutedinner #cutefood #foodforkid #playwithfood #bento #obento #charaben #kyaraben #foodstagram #instafood #christmasbento #cutechristmas #angrybirds Niki asked for Angry Birds .. for her dinner last night ?❄️?? #lunch#cutelunch #cutefood #foodforkid #playwithfood #foodstagram #instafood #bento #obento#charaben#kyaraben#cutechristmas #christmasbento #snowman#angrybirds Another version of Angry Bird for Niki's lunch today..not satisfied with the angry birds result from yesterday..so, sort of tried to make it up to her … ❄️❄️??⛄️? #Homecooked#lunch#cutelunch#cutefood#playwithfood#foodstagram#instafood#cutechristmas#christmasbento#bento#obento#charaben#kyaraben#noodles#stirfry#friednoodles#apples#pitaya#minion#christmaspresent#santaclaus#santaminion#santahat#santaoutfit Santa Minion for mommy's lunch … ?????☕️?????? Or how about awakening the force with a baby Yoda coconut milk cake (and a side of Baymax)? #homemade #homebaked#cutefood#bento#obento#charaben#kyaraben#snacks#dessert#traditionaldessert#pandan#screwpine#coconutmilkcake#pukis#honey#pitaya#foodstagram#instafood#foodforkid#playwithfood#Baymax#protect#Yoda#baby#pacifier#sizemattersnot#maytheforcebewithyou#Starwars The Baymax force to protect Baby Yoda ???????? It’s all super impressive to look at, and I’m sure, absolutely scrumptious. Check out more of Fenny Y’s handiwork here! Whatever your holiday feasts look like, stay merry, and keep it angry. 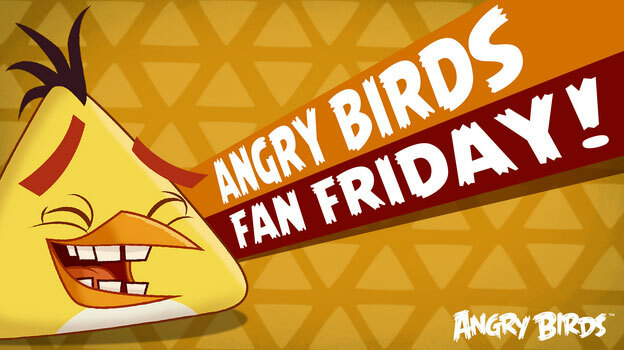 Film Friday – Angry Birds Movie Legos and More! 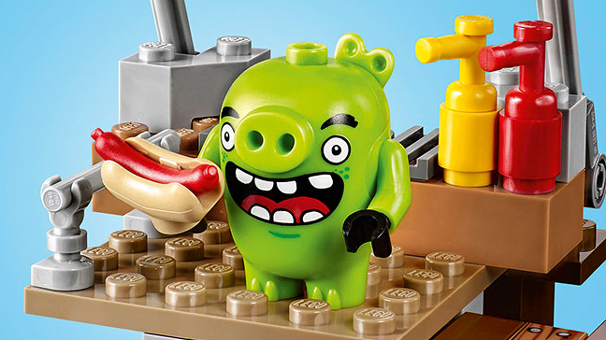 Remember those LEGO Angry Birds sets I mentioned a while back? The observant bird-flingers out there might have noticed that they have already appeared on LEGO’s website!